Well, it’s November. Halloween is behind us, Thanksgiving ahead – and darker nights, too. Heading home from work in the dark is never fun, and this week’s newsletter has a bit of a focus on what’s really going on at workplaces across the country. We’ve got news on overtime reclassification, Equal Pay Act lawsuits, Urban Outfitters’ staff being asked to work for free, truck drivers being told they really are employees and much, much more. Whatever your plans are for this month, stay safe, and enjoy the end of fall! Thousands of women have reported they were injured by the permanent birth control device Essure – and now it’s looking like they may finally get their day in court. The challenge in the case against Essure has been the issue of federal preemption, a legal doctrine that has left thousands of women without legal recourse. But, there are currently lawyers attempting to get around the doctrine and invalidate the legal standing of the FDA’s premarket approval order. 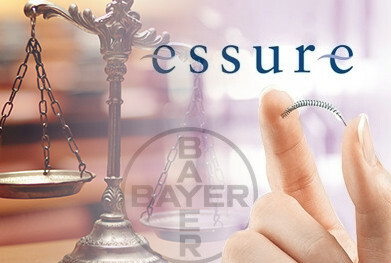 At the moment, there are two known lawsuits filed against Essure claiming that because the manufacturer failed to meet a number of reporting requirements, women should be able to proceed with their suits. It’s still an uphill battle that few are willing to take on, but a ruling against the device could open the doors for the thousands of women affected, allowing them to seek compensation for their pain and suffering. We spoke to one of the attorneys up for the challenge and, if you want to learn more about the lawsuits, read this. Knowing that you’re entitled to overtime pay is a good thing (although not as good, of course, as actually being paid those wages). It might sound great to hear that you’ll soon be receiving overtime pay for a job that didn’t used to pay it – but for some, the process of reclassifying employees from "exempt" to "non-exempt" raises serious questions about the months and years of work employees already performed without earning anything extra. "Reclassification" occurs when a worker is told that they're being switched from an "exempt" to a "non-exempt" employee. Exempt workers do not have to be paid overtime, while non-exempt workers do. Following a Department of Labor crackdown on companies that misclassify workers as exempt in order to avoid paying overtime, companies have been reclassifying employees to skirt any future legal trouble – but unfortunately, some companies have failed to account for the wages the newly reclassified employees already missed out on. You might even have received a letter from your employer telling you you've been reclassified – but have they offered you any of your back pay? Click here to learn more. Workout and fat-burning supplements sold by GNC may contain illegal ingredients, according to the Oregon Attorney General’s office. The state sued the company last month after announcing that traces of two drugs, picamilon (reportedly an illegal synthetic prescription drug used to treat neurological conditions ) and BMPEA, have been found in a host of products sold at GNC. Affected supplements include Meltdown, Redline Ultra, Lean Body, and dozens more. If you bought or used these dietary and weight loss products, we’d like to hear from you. You may be able to take part in a class action lawsuit to seek compensation from GNC, who the Oregon Attorney General’s office says misrepresented its products to consumers. Read more. Burning calories is one thing, but burning ellipticals is quite another. Lawyers are currently investigating whether Johnson Health Tech. could face lawsuits from consumers after the Consumer Product Safety Commission fined the company for failing to report safety issues in its exercise machines, including the Matrix Fitness Elliptical Trainer. Users complained that the machines sparked, smoked and even caught fire due to a defect that allowed water to pool in power sockets. The affected machines were sold between 2011 and 2012. Read more. Federal law is quite clear: men and women who do the same job deserve equal pay. If you think you’re being paid less than your co-workers simply because of your gender, you may be able to file a wage discrimination lawsuit. Although factors such as seniority, skill, effort, and responsibility can be used to justify different wages, paying a worker less simply because she’s a woman is illegal. It’s also illegal for employers to fire you for taking action to seek fair wages. Does this affect you? Learn more. Good news and bad on the Lumber Liquidators front: while the company agreed to a $10 million settlement with the Department of Justice, the issue of consumers’ health and the off-gassing of formaldehyde is still waiting to be heard in court. The settlement with the DOJ dealt with claims that Lumber Liquidators violated the Lacey Act – a law that deals with the protection of fish, plants and wildlife – after allegations surfaced that the company harvested wood from areas home to the endangered Siberian tiger. As for consumers’ cases, the class action lawsuits filed since the 60 Minutes investigation are still moving forward and are now pending in a multidistrict litigation. You can read more about what that means here. When’s a Volunteer Not a Volunteer? It’s not a new question, but it’s still an important one: when does volunteering become illegal unpaid work? You might think it has to do with whether the worker is aware that they’re not being paid, but there are many other factors to consider. Urban Outfitters raised eyebrows last month when it asked its employees to volunteer in its fulfillment center as the holidays approach. Asking salaried workers to work for free doesn’t exactly sound legal and, while the company has excluded hourly workers from the scheme, many are still questioning whether regular paid staff should have ever been asked to volunteer for the store’s “team-building” exercise in the first place. What do you think? Read more. Another day, another company trying to get away with misclassifying employees as independent contractors. Max Trucking has lost its appeal against an earlier circuit court judgment that its drivers, who leased and eventually bought their trucks, were employees rather than contractors, and now owes more than $100,000 in premiums to Liberty Mutual, who brought the case. Crucially, the court ruled that the workers were employees despite contracts that stated (multiple times) that the workers were contractors who would need to file their own 1099 tax forms. It’s another step in the right direction for American workers. J&J has been cleared of liability after a patient treated with Prosima pelvic mesh accused the company of manufacturing a defective device and failing to warn consumers about its risks. Jurors in the Texas state court ruled overwhelmingly against the plaintiff, Carol Cavness, who was seeking more than $9 million in actual damages claiming she’s been in constant pain since being fitted with the mesh in 2012. The mesh was produced through J&J’s Ethicon Inc. unit, which is no stranger to pelvic mesh lawsuits. Thousands of cases have been filed across the country and, although many have settled and led to rulings against mesh manufacturers, the use and viability of mesh products remains a hotly contested issue.